Is it me or am I doing these, “go check this out this weekend” post more and more often. It’s just me because these are all events YOU HAVE TO GO CHECK OUT THIS WEEKEND. I’m serious. A lot of them are free or relatively free. This weekend though, I will be part of one 🙂 See that picture of people on the bus, I made that 🙂 No too shabby if I say soo myself. The event where my stuff will be on sale is on the list of events so check it out if you can 🙂 The list is going to be broken down by day, since these events are starting Thursday and ending on Sunday. ~ Company of Angels & East LA Community Corporation present CAMINO A LA POSADA / An end of the year celebration. Come & Enjoy: Theater, Music, Food, Games and take a Piñata. Bring your favorite plate of food to share with your neighbors. with Boyle Height’s children, youth, and mothers. Camino a la Posada is a celebration of the journeys residents undertake to bring programs and services to our community. These resources help support our efforts to create healthy and happy households in hard economic times. 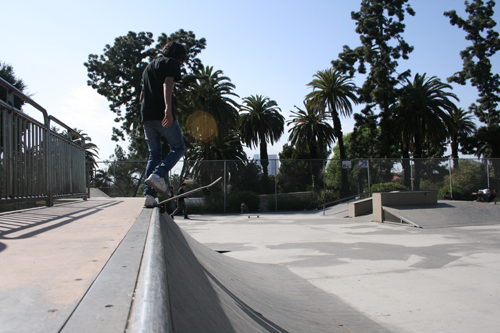 Join us to launch a community cultural center at 2003 East 1st St., in the heart of the Boyle Heights Arts District. A collective of concerned artists and activists have stepped in to help save the space formerly known as Brooklyn & Boyle: A Literary and Artistic Salón. We invite you to help us inaugurate a new year and a new season at Corazón del Pueblo: Arts, Education & Action Collective. 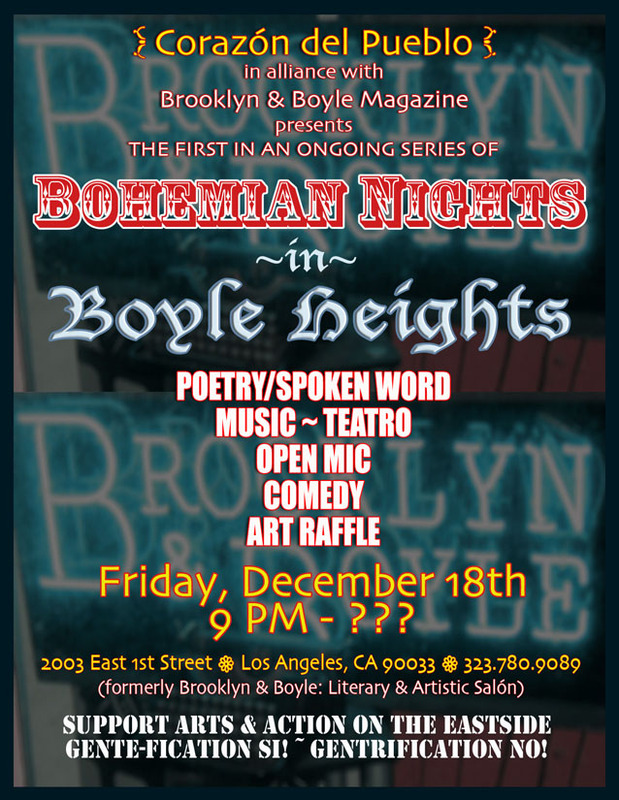 The first in an on ongoing series of Bohemian Nights in Boyle Heights, the festivities will feature music by the legendary WIlly Herron (Los Ilegals) & the illustrious SId Medina (The Brat) as well as spoken word by GLoria Alvarez, Ruben Mendoza, Ruben “Funkahuatl” Guevara and many more, teatro, dance, open mic and conciencia/consciousness. Please come out and support Eastside arts and artists as we highlight homegrown & the truest grassroots creativity that has made the community a cultural destination and ground zero for LA’s Latino culture for generations. 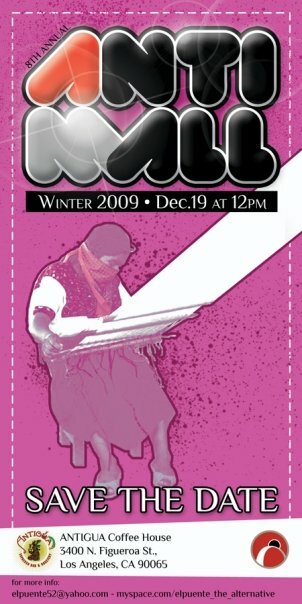 December 19, 2009 10 AM – 2 PM at Self Help Graphics and Art INC.
Join artist Dewey Tafoya (who I borrowed the picture from 🙂 )to learn the silk-screening process using heat lights. Simple enough for anyone to easily do at home! Come early as spaces are limited. All supplies, including screens will be provided for use in the workshop. 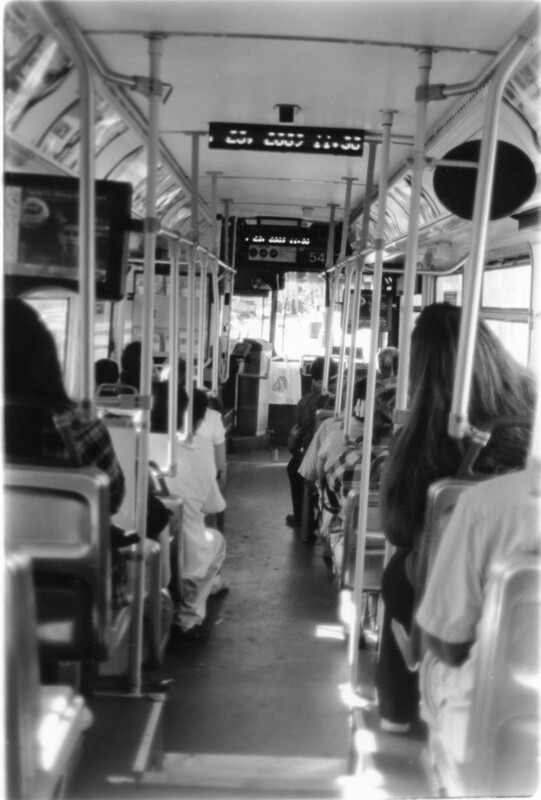 Attendees are required to bring one original image on transparency film no bigger than 8 1/2″ X 11″. 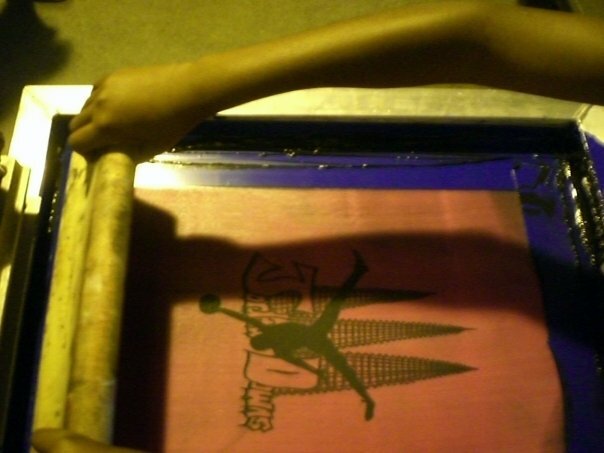 Bring a blank t-shirt or 2 to print your work of art on! Paper will also be on hand for printing. Cost: $15/per person. This is it. This is the show where I will be selling some of my pics to help raise funds for Adelante California. Money that will be used for student scholarships that will help out tremendously. Puro Pedo Magazine, Adelante CA, Mi Vida and the Special Brownies Art Collective are teaming up to host an amazing art show on Saturday December 19th at Mi Vida in South Pasadena to raise money for much need scholarships to students regardless of citizenship status. 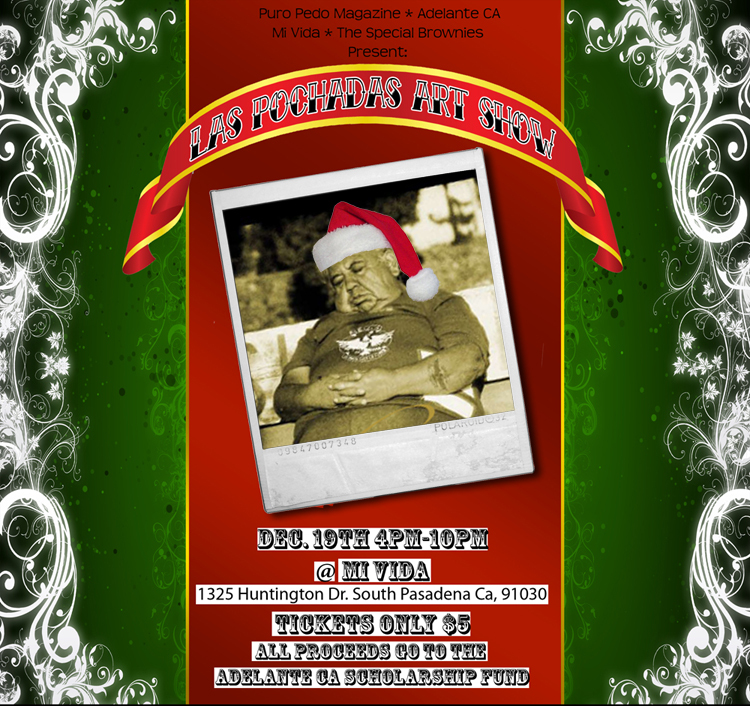 Saturday Dec 19 from 4 to 10 p.m.
Not all drunks are created writers, some have to work very hard at it. 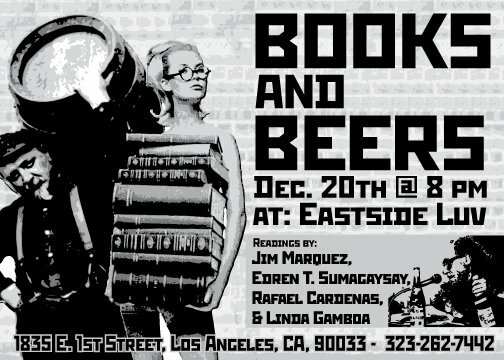 Join us Dec. 20th, at Eastside Luv, for readings from three hard working independent drunks. The authors will have their books available for purchase and the bar tender will be pouring proper drink specials. 21 & over. No cover. 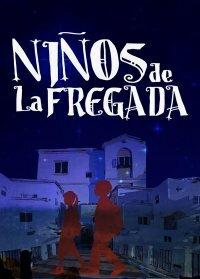 This entry was posted in culture, East Los, Eastside, Events, fashion, Gente, Greater Los Angeles and tagged Events by El Random Hero. Bookmark the permalink. thanks for including Books and Beers!! hope to see you there! Thanks for doing these posts Random! I’m a loser and totally lagging with my “botanitas” posts. I guess I need to get out more or something. Well, at least I know what I’m missing. Thanks for sharing this info El Random. A Morrissey shirt should be under your xmas tree hehe. Yeh, Dewey’s class at SHG is very popular. Knock out a few or alot of tees with your own design on them–for gift giving! The process is easy and (after) you will want to set up your own silk screen studio in your kitchen. Be on time! Space is limited. The first Books and Beer was a good time. I felt the East side love. Thinking about the XXmas Eve eve event. If anyone is going let me know. You might just convince me to become the Most Interesting Man in the World that night.